Daryl Hannah will be on hand to help you open your eyes and your heart at The Sirens Society’s 2nd annual benefit film festival, “FILManthropy Festival II – Open Your Eyes,” at Cinespace Restaurant and Lounge, 6356 Hollywood Blvd, Los Angeles, October 2nd – 3rd, 2010. 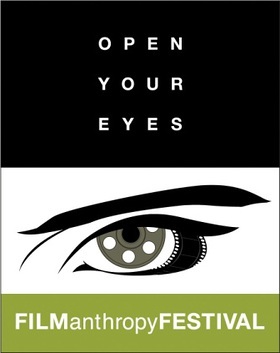 The Festival’s tagline, Open Your Eyes, encourages patrons to not only watch these inspiring films, but to do something – to work for change. Each filmmaker attaches a charity to his/her film and 100% of the Festival’s net proceeds are distributed between the winning filmmakers’ charities. Daryl Hannah, actress, environmentalist, and last year’s honored FILManthropist of the Year, presents the winning filmmakers and this year’s FILManthropist of the Year at the Torch Awards Gala. The Torch Awards Gala features dinner, open bar, live entertainment, and silent auction. George Gray, actor and comedian, hosts the 2-day Festival. 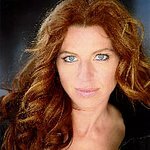 Special celebrity film judges include Anne Archer, Christine Devine, Andy Lauer, Katina Dunn, Mikki Willis and Nadia Salamanca. Films are screened during the day on Saturday, October 2nd and Sunday, October 3rd, 9am – 3pm both days. The Festival ends with the Torch Awards Gala on the evening of Sunday, October 3rd, 4-7pm. For more information about the FILManthropy Festival and selected films, click here.